One of the most versatile tools I have is my Opinel knife. 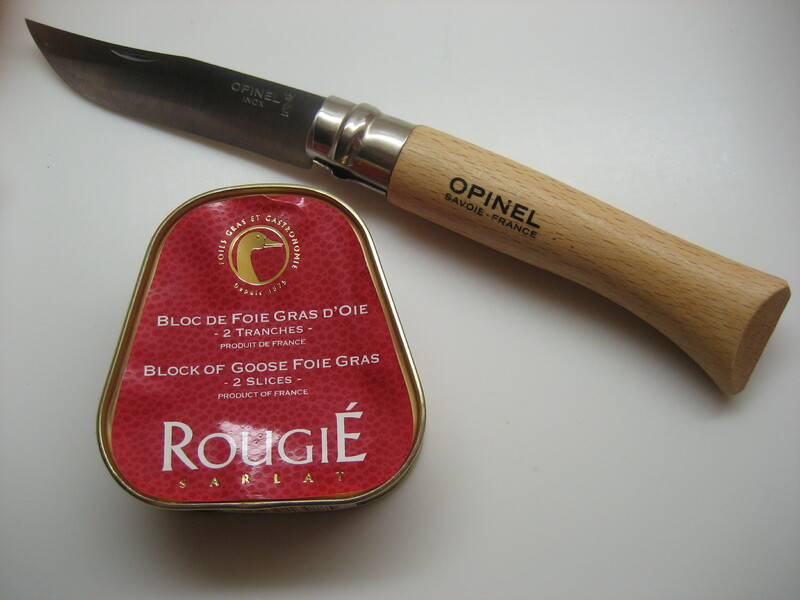 Joseph Opinel started making these knives in 1894 in the Savoie region of France. This switchblade-style pocket knife was originally an all-purpose mountain men’s knife. Now practically every housewife in France uses it. The wooden handle has a comfortable grip and is lightweight, perfect for bringing to farmer’s markets to sample fruit. I recently brought my Opinel on a trip to Italy, where I cut cheese and salami to make a quick sandwich in the car. They are fairly inexpensive (around $10) and come in a variety of sizes to fit your hand. They stay sharp for a long time, and have a locking mechanism. We have several in the house – one near the sink to quickly chop or cut say an orange in half, or crush a garlic clove. For my more expensive knives, I have to be careful about washing and drying and putting away, but the Opinel is nice because you can just rinse it off. We also keep one by the bed to brandish in case of intruders. Great gift for that outdoorsy guy/gal in your life. They are available in hunting/outdoor stores, and online. Since my new home kitchen is woefully under-equipped, I had to find a new alternative to drying each lettuce leaf by hand with a paper towel. It was time-consuming and also not eco-friendly. Enter the Pillowcase – or better known as my new lettuce spinner! 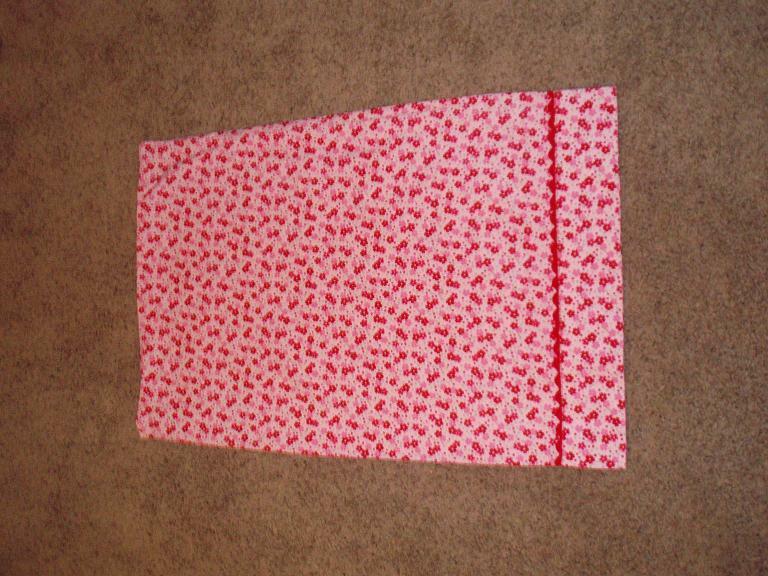 A pillowcase is both free and eco-friendly – and utilizes an old item you never use anyways. Plus it’s more compact. 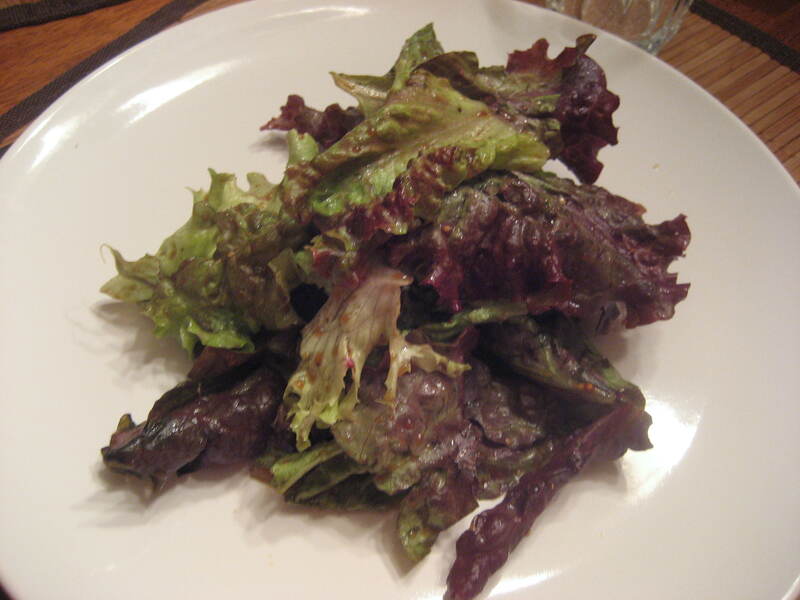 You might ask – why even bother drying lettuce anyways? Bagged lettuce has been triple-washed, but if you get greens at a the farmer’s market or a head of lettuce, you need to wash, then DRY. This is a very, very important step in making a proper salad. Dressing will not adhere to wet leaves. Also, the additional moisture will water down the flavor. Plus, this is what the French do, so we must do what they do if we want delicious food. Step 3) Go outside, hold on to the end of pillowcase and swing over your head! (Important to go outside because water will fly out of the pillow case. If there is a lot of water, you can shake the leaves to the middle of the pillow case and twirl to remove water that way). If you don’t have a balcony or garden, step outside your front door or if you’re ballsy…in the shower! In a glass or wooden bowl, pour a couple tablespoons of balsamic vinaigrette. Sprinkle in a pinch of salt, then pepper. When you let the salt dissolved in the vinegar (before adding oil), it helps the dressing emulsify and get nice and thick. Squeeze in a dollop of whole grain mustard if you’d like. This also helps the oil and vinegar blend together. Then with a whisk in one hand, grab a bottle of olive oil with the other and slowly pour a thin, steady drizzle of olive oil while whisking. You want a little more oil than vinegar for the perfect vinaigrette. Adjust seasonings with salt, pepper. Sometimes I like to add a little drizzle of maple or agave syrup to add a touch of sweetness and balance out the acidity of the vinegar. Add your washed (and dried!) greens to the bowl (Sprinkle a little salt and pepper on your greens – you must season your greens for flavor before adding dressing!) and toss with tongs or two big spoons. You can add slices of buffalo mozzarella, fresh tomatoes, torn herbs, whatever you’d like. The French like to keep it simple – just greens and vinaigrette.